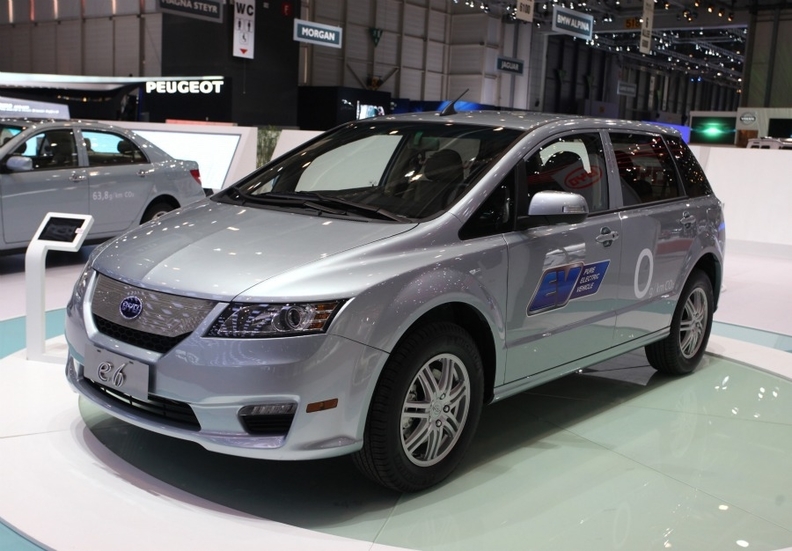 A BYD e6-Eco EV sits on display at the Geneva auto show earlier this week. GENEVA -- BYD Auto plans to sell electric cars and hybrids in Europe next year, the Financial Times reported. Company Chairman Wang Chuanfu said BYD will export the e6 electric car and the S6DM plug-in hybrid from China to Europe by the end of 2012. BYD, which is part-owned by American billionaire Warren Buffett, displayed the cars this week at the Geneva auto show. In other comments, Wang told the Financial Times that his company's joint venture to produce EVs with Daimler AG is moving ahead on schedule. He said "a few dozen" Daimler engineers are in Shenzhen to work on the car.